Find the right blade, fastener or drill bit for your next project. It's a creeper! It's a dolly! It's the latest innovation from Disston Tools: Omnitable. With a 500 lb. duty rated capacity, Omnitable can accommodate large projects. It's practical for professional contractors as well as home users. 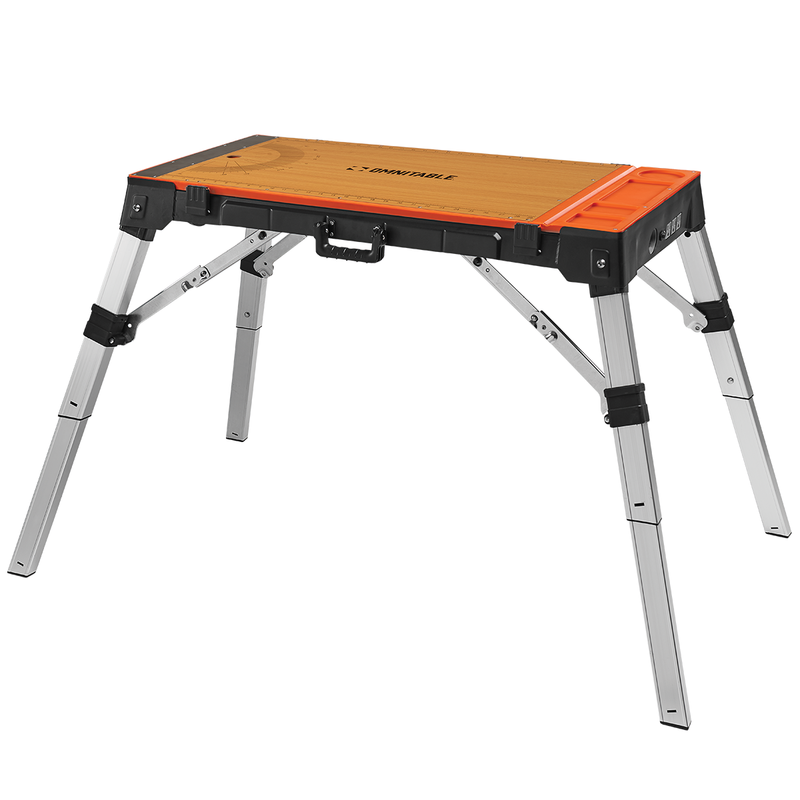 Built-in features like the power strip, ruler, drill hole, steel hammer surface, in-line accessory storage, and carry handle make Omnitable more than just a work surface: it's a complete workshop. Disston offers a wide range of hole saw types and sizes to fit your job. Hole saws and accessories are available in individual packaging and convenient sets. Disston offers a variety of drilling and wood boring bits designed to meet your many DIY and professional drilling needs. Bits and accessories are available in convenient packages, sets and bulk. Disston offers a complete range of bandsaws in various widths, pitches and tooth configurations for most cutting applications. Aggressor® Portable Bandsaw Blades feature teeth with uniform spacing and gulleted depth. They offer improved cut quality and shock resistance, and also resist tooth strippage. Disston offers a complete range of driving bits, sets, adaptors, and guides to handle a wide variety of tough jobs. Blu-Mol® fasteners are hardened and tempered for longer life. Make quick work of any fastener project. Blu-Mol® Bi-Metal Air Saw Blades are specially designed blades for use in pneumatic saws. Air saw blades have fine teeth for cutting metal. Disston’s superior collection of air saw, hack saw, rod saw and circular saw blades make quick work of anything you can throw at them. Look for these blades in single and multi pack sets. Disston's hack saw blade selection includes Blu-Mol Bi-metal blades for heavy duty cutting in metal and RemGrit Carbide Grit blades for extremely abrasive materials. Cuts extremely hard abrasive materials. Cutting edge of tungsten carbide particles bonded to alloy steel back. High heat and abrasion resistance; no teeth to dull or chip; resists snagging; smooth cutting; greater wear resistance. RemGrit® Carbide Grit Rod Saw Blades have carbide particles bonded to an alloy steel rod. This saw cuts extremely abrasive materials with no teeth to chip or dull. It's a creeper! It's a dolly! It's the latest innovation from Disston Tools: OmniTable. With a 500 lb. duty rated capacity, OmniTable can accommodate large projects. It's practical for professional contractors as well as home users. Disston’s superior collection of reciprocating saw blades make quick work of anything you can throw at it. 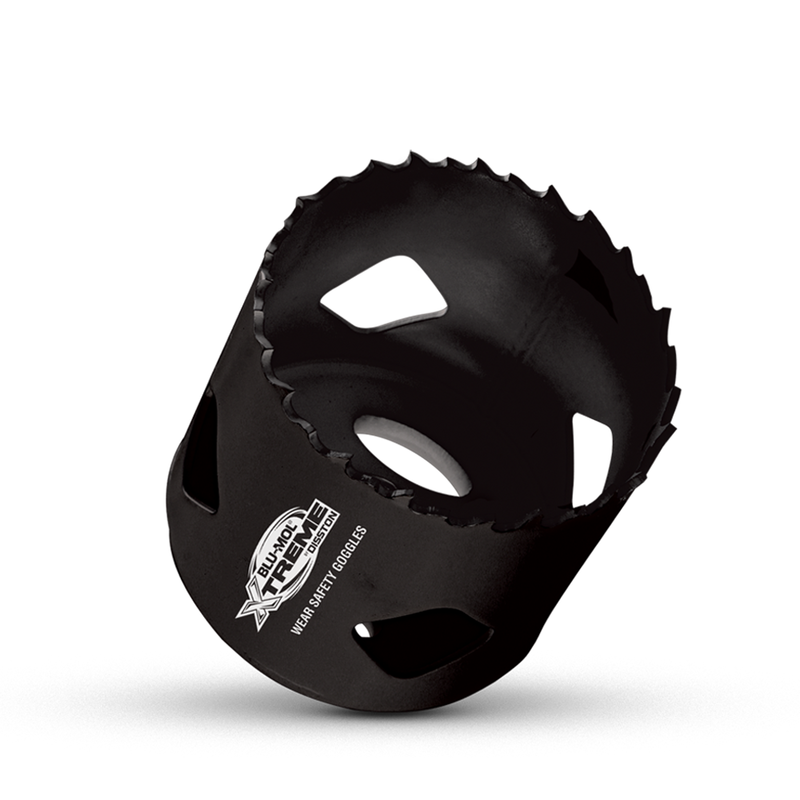 Reciprocating saw blades are available in individual packages and handy multi-pack tubes. Aggressor® carbide tipped band saw blades deliver on performance, productivity and cost savings to a variety of applications including general manufacturing, steel service centers and forging operations. Disston jig saw blades are the power tool accessory you need when cutting any critical project. Jig saw blades are available in bi-metal, carbon, high-speed steel and grit-edge for cutting in a wide variety of materials. Combining value and product integrity, Blu-Mol accessories are designed and built to provide aggressive cutting and boring and are available in a variety of product lines. From bi-metal demolition blades to patented hole saws Blu-Mol® Xtreme products are designed for ultimate performance. The tungsten carbide Grit-Edge on each RemGrit product equips it to handle the toughest materials, from ceramic tile to marble and glass. Aggressor® band saws are an industry leader recognized year-in and year-out for industrial-grade performance. With a rich history spanning over 175 years, Disston Tools is a global manufacturer of hole saws, bandsaw blades, jig saw blades, reciprocating saw blades, drill bits, and other hand and power tool related accessories for the DIY, contractor and industrial markets.